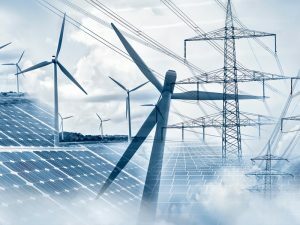 Wind, solar and natural gas are the lowest-cost generation choices for new electric facilities, according to a recent report from the Energy Institute at the University of Texas in Austin (UT). The analysis looks at the direct and indirect costs of building, financing, operating and fueling new generation, including the environmental costs, said Joshua Rhodes, a research associate with the university and a co-author of the report. The Full Cost of Electricity found wind and solar to be the lowest-cost generation resource in many areas of the US. In areas with no wind or solar resources, natural gas is the least expensive fuel source, said Rhodes. The report is based on input from an interdisciplinary team from UT Austin, including analysis and perspectives from engineering, economics, law, and policy experts. In their efforts to identify the lowest-cost generation resources, Energy Institute researchers added up all the costs required to build, finance, operate and fuel a power plant over its lifetime, said Rhodes. They then divided that by the total amount of electricity that the plant is expected to produce over its lifetime, yielding a single number, expressed in $/kWh, for every technology in every county. Researchers then compared those $/kWh figures among technologies. In many parts of the country, however, solar and wind are generally the least expensive technologies, because the resource is free after the plants have been built, said Rhodes. “Ninety-nine percent of the costs are the steel and concrete in the ground and then they are basically free to operate,” he said. The study also found that natural gas plants are twice as efficient as coal plants and can be built at a third of the cost, said Rhodes. To the researchers’ surprise, nuclear was found to be a low-cost option, but only if the plants can be built on budget, which doesn’t always happen, said Rhodes. For the purpose of the report, researchers identified the price of carbon as $62/metric ton, said Gary Rasp, a spokesman for the Energy Institute. However, users of the Energy Institute model can change that amount and other assumptions. The goal of the study was to create a model for identifying the cost of new generation for public policy and other purposes, said Rhodes. So how can utilities continue to fulfill their service reliability obligations of today, while also integrating the distributed energy and up-and-coming technologies of tomorrow? 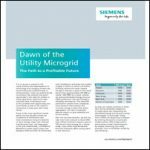 Download the new white paper from Siemens and learn more about how today's utilities are beginning to prepare by entering discussions around grid modernization, DER compensation, and business model transformation, by sharply enhancing core utility priorities, such as reliability, resiliency, and efficiency. The hope is that stakeholders can have more productive conversations about the costs of new generating plants, said Rhodes. The report includes an interactive map that allows users to identify the costs of building generation in different parts of the country. Just as important, the Energy Institute hopes that the study will inform policymakers by allowing them to predict the effects of various decisions. The authors have shared the report with staff members in US Congress, the National Association of Regulatory Utility Commissioners, businesses and non-governmental organizations, said Rhodes. “We do think the report will really help in terms of taking away a bit of the black box so people can see inside it. There is no shortage of people out there telling you what you should do when building new power plants,” he said. If policymakers want to create rebates for solar or other technologies, the report will allow them to immediately see the impacts of those decisions, he noted. “Hopefully that immediate feedback helps people make better decisions about where the future should go,” said Rhodes. For example, the report — which includes numerous white papers about specific topics — examined whether the high percentage of wind and solar affects the grid in Texas, he said. Last year, nearly 20 percent of the electricity in Texas came from solar and wind, Rhodes said. The researchers found that, contrary to some opinions, the Texas grid hasn’t become any more expensive to operate as a result of the high percentage of renewable resources. The white papers that are included in the report focus on issues such as state-level financial support for electricity generation technologies; the Environmental Protection Agency’s valuation of environmental externalities; new utility business models, and the costs of integrating PV to the utility distribution circuits. The report doesn’t look at the cost of backup resources for renewables because the authors assumed that the resources would be part of the larger grid, said Rhodes. The researchers also didn’t include energy storage in the report. 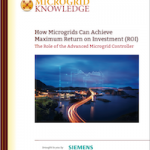 Join Microgrid Knowledge May 14-16 in San Diego for Microgrid 2019: Shaping the New Electric Grid. Natural Gas versus Distributed Energy: Which is Less Expensive? Thnq for sharing Informative news In addition, our experience goes into every detail of our Hcl gas analyzer ensuring reliable results, even under harsh conditions.